Is The Family Of The Face-Biting Boy Responsible For His Conduct? The young man who made headlines last year for a cannibalistic murder is once again in the news. One of his victim’s families has filed a wrongful death lawsuit against Austin Harrouff who murdered Michelle Mishcon and her husband, John Stevens in 2016. The boy displayed animal-like behavior eating and gnawing at parts of the body. While the parents of the Harrouff aren’t named in the lawsuit, the question of their complicity in facilitating the attack has come under scrutiny. According to the lawsuit, Harrouff displayed increasingly erratic and disturbing behavior. The lawsuit also claims that he had a pattern of drug abuse and binge drinking that his parents allowed in their home when he was under the legal age. When police questioned the family concerning Austin, they told them that he was: “evolving”, “immortal”, a “centaur”, and that he possessed “superpowers”. These are clear signs of psychosis. The suit further mentioned that Austin’s violent and erratic behavior forced family members to lock their doors at night out of fear that they would be attacked in their sleep. Nonetheless, the suit states that Austin’s father purchased a knife for the boy and a gun and knife show the day before the murders. Regardless of the facts mentioned above, the plaintiff has not brought a case against Austin’s parents. They are suing Austin directly. This is interesting because the question still remains: who is more responsible for the Stevens’ death, Austin or his father? As an analogy, if a parent were to allow their child to drive their car, the parents would be responsible for any accident they caused. That would include a wrongful death. However, although Austin’s father gave a mentally ill boy access to a switchblade, he cannot be targeted in this wrongful death lawsuit. It sounds odd, but such is the law. Can You Sue a Someone who is Mentally Ill? In point of fact, you can sue just about anyone for any reason. But a judge will have to make a determination on whether the defendant is fit to stand trial. 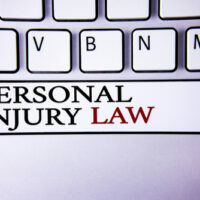 One of the most rare reasons for personal injury lawsuits is when a plaintiff sues a defendant who has intentionally harmed them. In these cases, it’s generally easy to win a verdict, but collecting the money is a different story. It just so happens, however, that there has been some legal thought devoted to this question. A person who is “insane” is, more often than not, responsible for the injuries they cause (torts). However, a jury could entertain an insanity defense to a tort claim. But—and this is a major “but”—the defendant would have to show that their insanity was “unforeseen”. Otherwise, they owe a “duty of care” to manage their illness and prevent acts of extreme violence. Given the evidence we have from Austin’s family, they were all quite aware that the boy had serious problems and no one did anything about it. That’s negligence. Have You Been Injured by Another’s Misconduct? If so, you are entitled to collect damages for your injuries. Alan Goldfarb has helped thousands of Miami residents recover damages for their injuries. Give us a call at (305) 371-3111 or contact us online and we will be happy to answer any questions that you might have.